This was an animation a friend recommended me to check out. 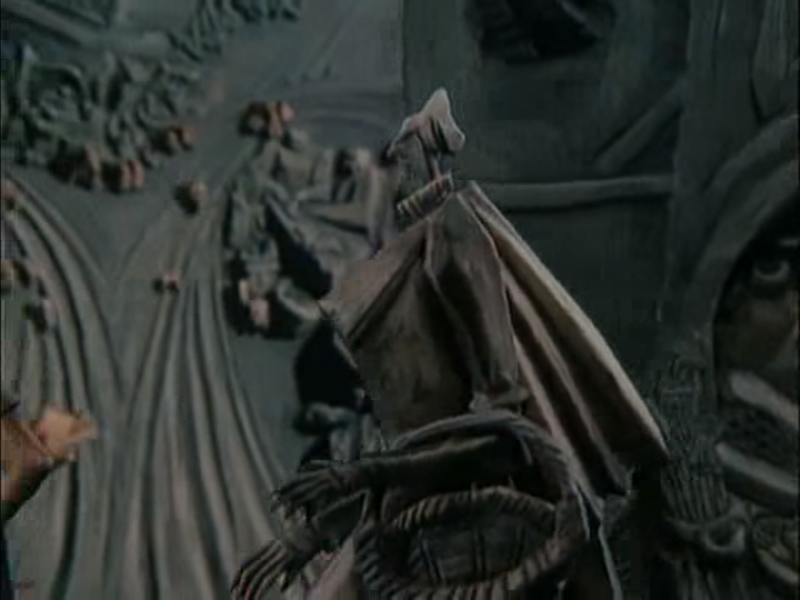 It’s an excerpt from The Pied Piper (1986) which was directed by Jiří Barta, a Czech stop motion animator. While he is an animator himself, IMDb credits four others as the animators so I am not sure who in particular animated this clip. When first watching this clip I was immediately drawn in. There’s so much charm to the character design, the overall visual design and the stop motion itself. The characters have a limited movement especially while they walk, it reminds me of the vampires from The Nightmare Before Christmas. However the characters are very expressive, they have more movement in their arms and head movements coupled together with the visual storytelling so that we know what’s going on. Although the characters are not speaking English there are visual representations of what they are talking about, such as the coins coming from the mouth and the scales representing the haggling nature of the conversation. There is a lot of good camera movement going on to allow for some neat gags. Switching focus from one character to another allows for heads to be switched out such as the angry heads. 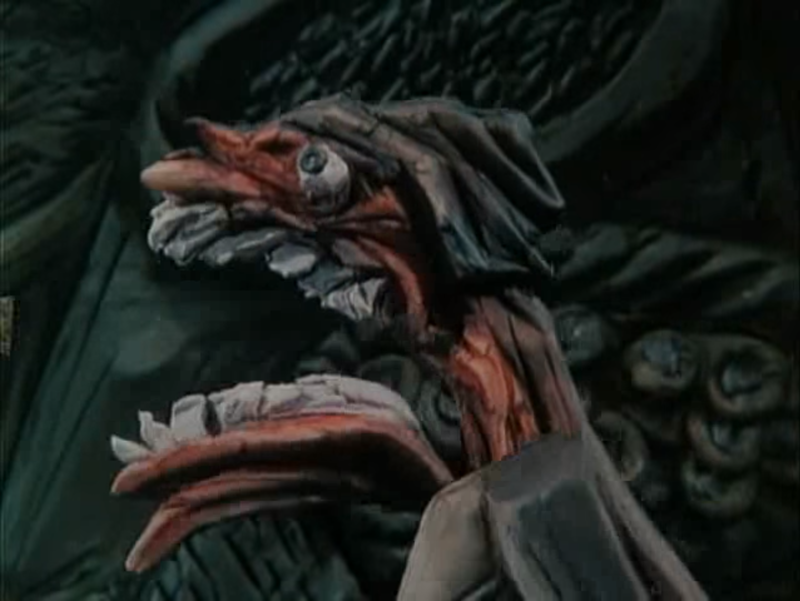 The angry heads had a different texture and colour in contrast to the rest of the animation which emphasised a creepy feel and helped to contrast it to the calm scene it once was. One thing I particularly loved was the use of perspective. Very early on in this clip as a character walks by, she walks past a street opening showing the road as it goes off into the distance. Only, the set isn’t that big, it looks like its physically only a short distance away and is perpendicular to the ground. I’ve seen this kind of thing done before for stylistic purposes or just to conserve space, I’ve even done similar things myself with stop motion perspective. What I love about this though is that there’s small characters in the background and they’re animated. Although we know there’s an illusion going on, the focus of the camera and scale of the characters tell us they should be in the distance. We know they aren’t but in the context of the animation’s style it works and its charming to see the little characters move. This excerpt ends with a rat appearing and stealing a piece of food. The people in the marketplace seemingly forget their differences and beat the rat to death. I’m not sure but it looks like a real stuffed rat was used. The addition of the blood and the fact the people were beating it to death seems to have been used for shock factor, perhaps as some metaphor for the greed of capitalist shopping or something, I don’t know. All I know is I enjoyed the clip and will seek out the full film to watch in the future.